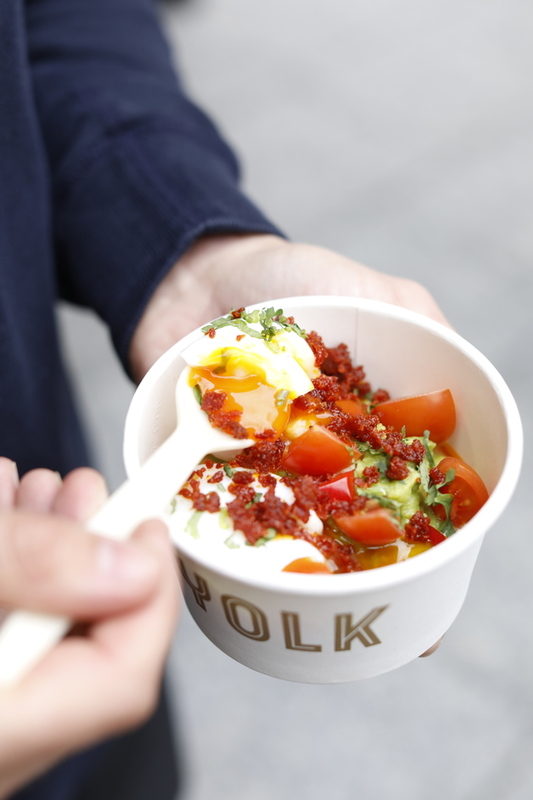 In 2017 Yolk popped up in a shipping container in Finsbury Avenue Square but in autumn 2018 they upped sticks and moved to a permanent home on New Street Square. The team work with good suppliers such as Smith & Brock, Clarence Court Eggs and Dark Arts Coffee to give you poached egg pots, Eggs Benedict and breakfast baps in the mornings. These including the Maple Bacon (maple-cure Franconian streaky bacon and whisky butter on a soft white bap) and the Halloumi Avo (spiced halloumi, avocado, Portobello mushroom and Yolks secret hot sauce). Lighter options like oat-milk Bircher muesli and porridge topped with braised peanut-butter banana are also on the menu. For lunch, the steak bearnaise and umami chicken, pulled pork bun and freshly-prepared salad boxes are available to grab and go or eat in. Sit at one of the six stools in the window or at a table in the covered seating area outside. Yolk gyms, sporting activities, health & beauty and fitness. The best pubs near London Yolk. Yolk clubs, bars, cabaret nights, casinos and interesting nightlife. Where to have your meeting, conference, exhibition, private dining or training course near Yolk. From cheap budget hotels to luxury 5 star hotels see our discounts for Yolk hotels, including Crowne Plaza London The City from 77% off.